This is the first of what I hope will be monthly collections of clothing for for women with a sense of their own dignity. I will try to find items that are seasonally appropriate (for the Northern Hemisphere) and I will try to set it up so that you can make one or two outfits from the selections listed. Pretty summer scarf. I love scarves because they can add a splash of color to an otherwise boring ensemble. This scarf has a lovely peony print and is quite inexpensive. I have tried these fun skirts. Unfortunately you can’t order a particular one to match anything because they are randomly assorted, but they are light, flowy and comfortable, and there’s several ways you can wear them. One size fits all. Plain basic teeshirt, but a little classier than most. Reviewers say that it’s not see-through, and if you’re anything like me, you know that’s hard to find. Also comes in black. Super cute vintage style skirt. Looks like it would be great for special occasions, or going to church. Comes in several lovely prints, and is quite inexpensive. Simple and comfortable. If you want a skirt that travels well, is comfortable, and looks dressy, this is a good way to go. White tee shirt, gray skirt, and pretty blue scarf. Black or white tee shirt and vintage skirt. I like the items you put up! It’s short but versatile. 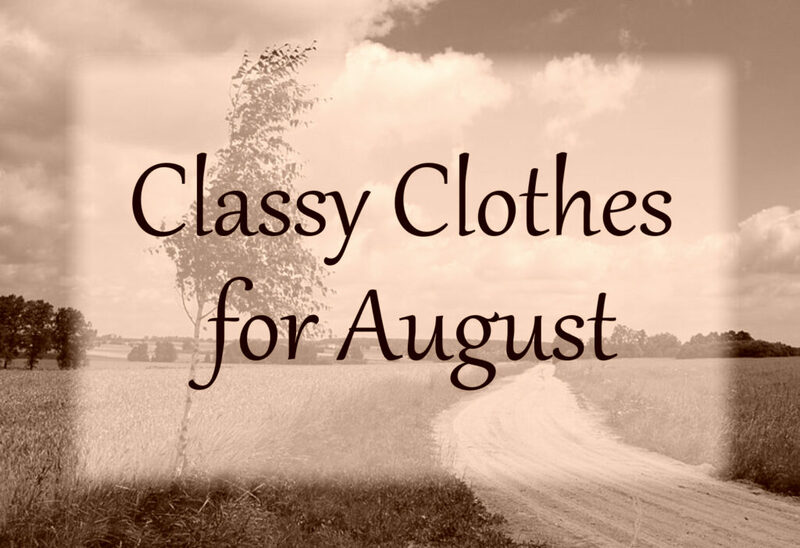 Great idea to do a monthly clothing post!